It is 1864. 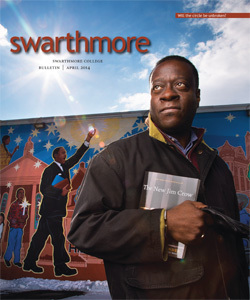 Swarthmore College has a charter, and it has a piece of land. The only things left are to build and equip College Hall (now Parrish), find and hire a faculty, recruit students, and raise more money. Swarthmore College would not open for classes until fall 1869, but there was still plenty to celebrate. One fine June 1864 day, the Friends Social Lyceum organized a visit to the new site, complete with lectures on science and history and a poem written for the occasion by Ann Preston. 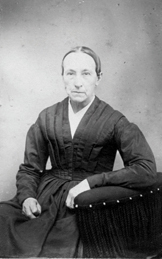 Preston began her public career in the 1840s, writing anti-slavery books. When medical education was made available to women, she became one of the first to earn a Ph.D. in the United States. Later, she became the first woman dean of a medical college. Preston’s poem begins with a reference to rumors of battles, noise, and strife. The year 1864 was the bloodiest of the Civil War. She, like the other founders of Swarthmore, is fond of nature but, true to her scientific bent, shows her curiosity about the interior structures of nature. Nature is to be enjoyed but also, as part of that enjoyment, to be studied. Her poem’s ending might be said to represent a continuing Swarthmore College value. The College community is not noted for the “sameness” of our students and faculty and, though some members of the community may disagree, there is still harmony. As a portion of Nature, ’tis good to be here. And marvellous beauty wakes the spirit of prayer. In perfect proportions, is builded aright. Thus he grows like a tree in the garden of God.